We are your premier full-service welding, metal fabrication and welding repair shop in Gallatin County, located in Four Corners of Bozeman, Montana. We provide quality work for any residential, commercial, industrial, or personal welding projects. Our AWS certified staff offers over 50 years of combined welding experience, making our service second to none in Bozeman, Belgrade and surrounding areas. We provide top of the line welding and fabrication repairs to fix any problem you might run up against. Problem solving is one of our strong points, fixing issues on the job site, mending flawed joints, repairing metal damage, is all within our scope of ability. Our top of the line shop is equipped with all the tools imaginable, enabling our staff to repair any welding problems, along with the ability for full metal fabrication. Our experience allows us to offer a diverse array of repairs to steel, aluminum and cast iron along with performing steel fabrications, TIG, MIG, and STICK welding, to ensure that all your welding problems will go away with one stop out at 4 Corners Welding. Our custom welding work enables you to let your imagination run free. We have built everything from handrails to stoves to doors to tables to ornaments. In addition, our staff is specialized in large projects from structural steel or architectural work to custom hand rails or custom flat beds and trailers. All you need is an idea, and we can build it, No job is too big or too small for our welding and metal fabrication skills. 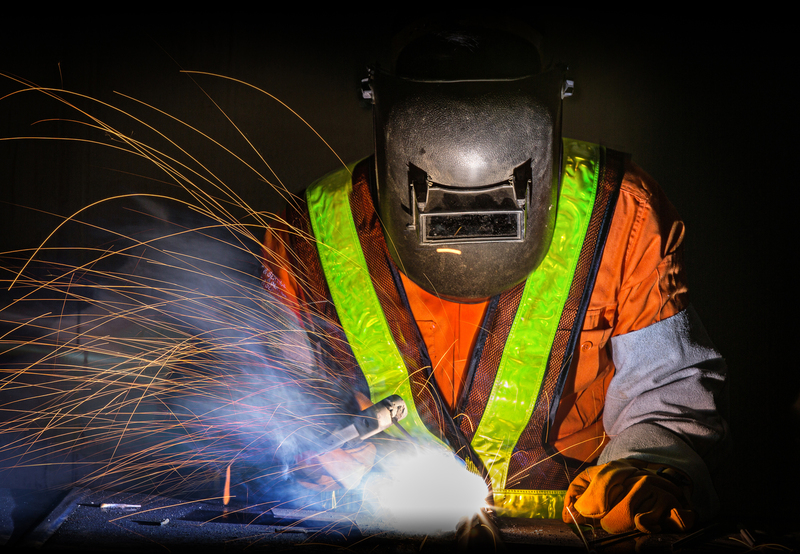 At 4 Corners Welding, we pay special attention to detail along with the current building and industry codes and standards, to make sure that you are receiving the highest quality welding and fabrication work on all of your projects. We strive to make your projects flow as smoothly as possible by offering free, thorough, cost and time estimates. When you choose to work with 4 Corners Welding, you are choosing the highest quality of detail, experience, work, and personal relations in the Gallatin County. For more information on how our welding, repair, and fabrication skills can serve you, contact us today.